1.) 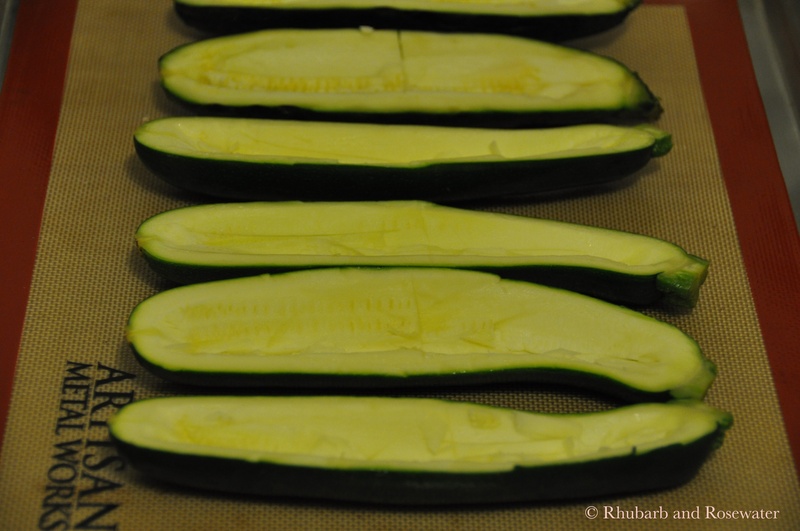 Wash the zucchini and cut them in half. 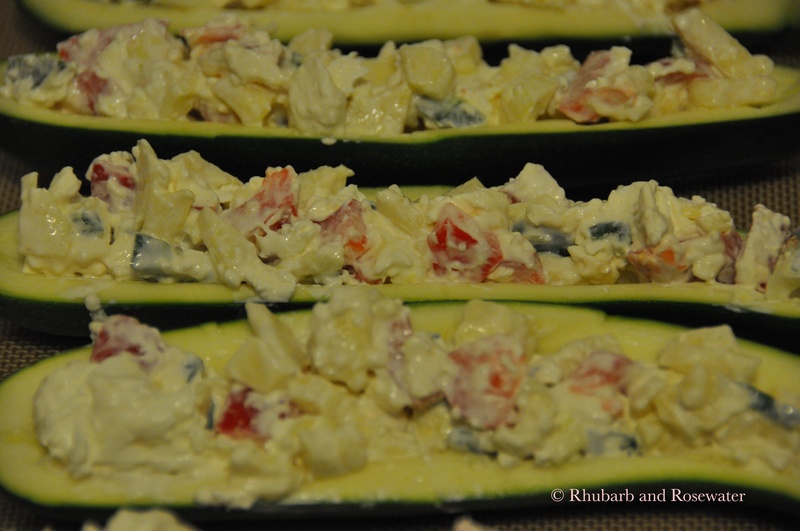 Cut or spoon out the inside and put it in a separate bowl. 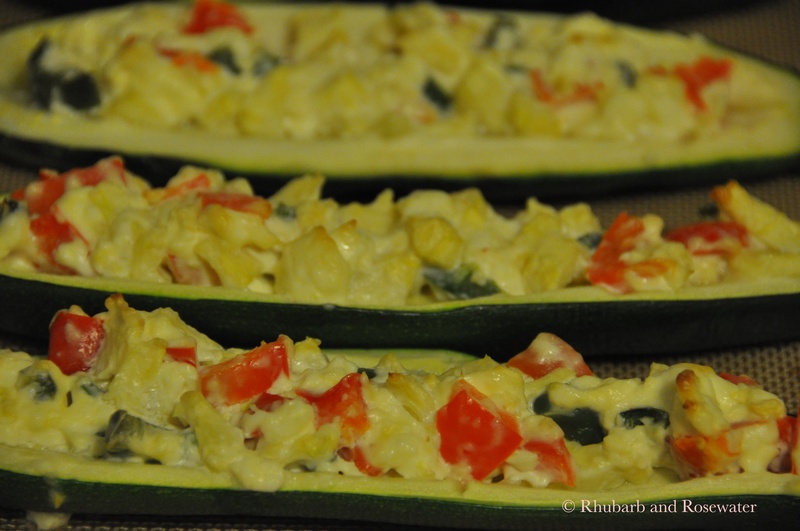 Place the zucchini halves on a lined baking tray. 2.) 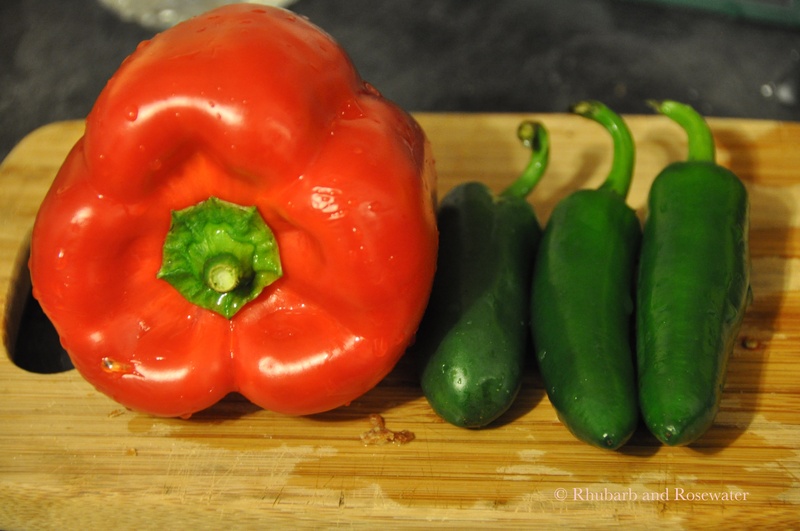 Pre-heat the oven to 375˚F. 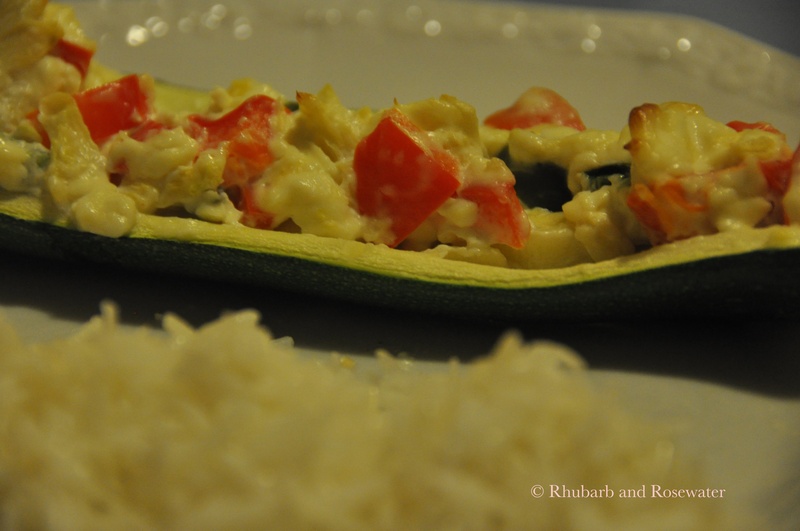 Chop the red pepper and the jalapeno peppers into small pieces and add them to the zucchini pieces. 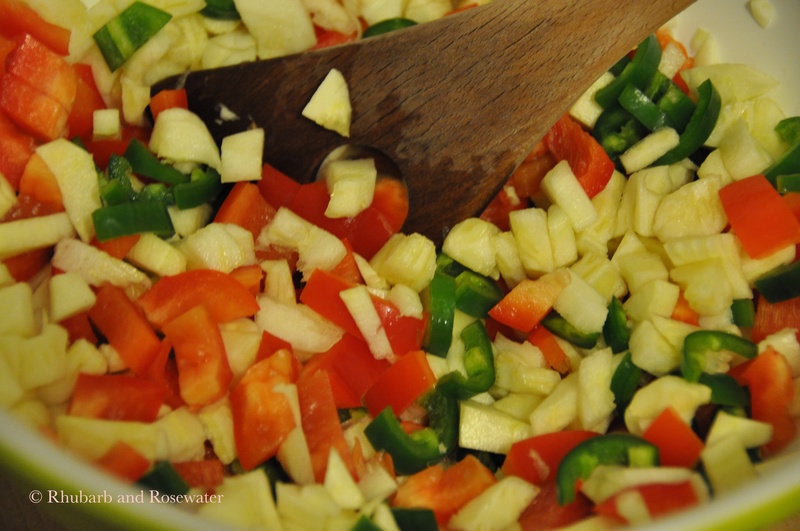 Cut the garlic into small pieces or use a garlic press. 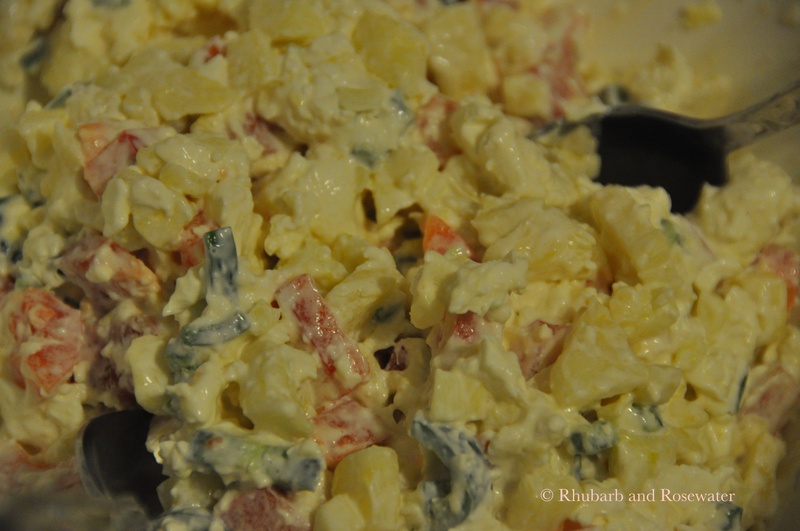 Add the garlic and the cream cheese to the vegetables in the bowl and mix well. Add a little bit of salt. 3.) 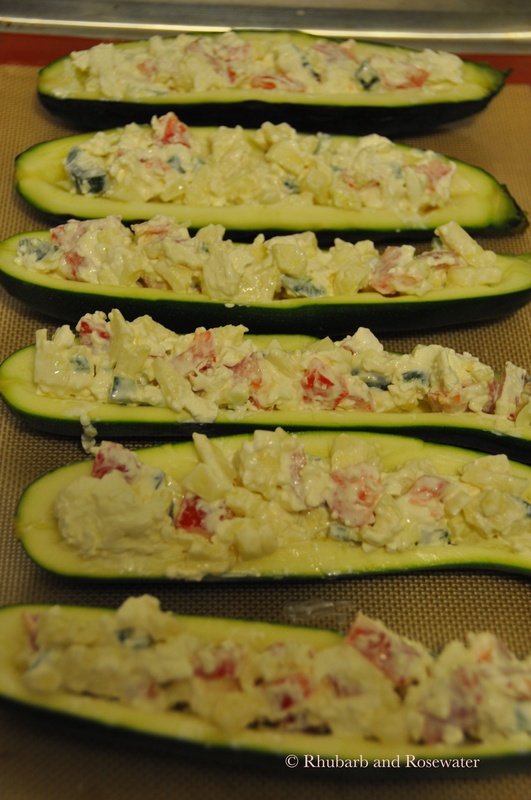 Stuff the zucchinis with the mixture. 4.) 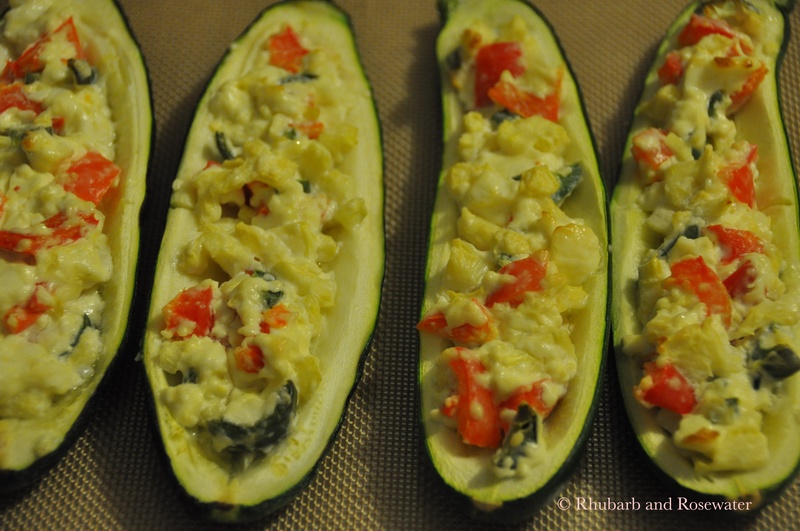 Bake the stuffed zucchini for 25-30 minutes.